NOTE: For Grand Cherokee with 5.2L engine, see G - 5.2L TESTS W/ CODES article in the ENGINE PERFORMANCE Section. If no faults were found while performing F - 2.5L & 4.0L BASIC TESTING, proceed with self-diagnostics. If no fault codes or only pass codes are present after entering self-diagnostics, proceed to H - TESTS W/O CODES article in the ENGINE PERFORMANCE Section for diagnosis by symptom (i.e. ROUGH IDLE, NO START, etc.). NOTE: Malfunction Indicator Light (MIL) may also be referred to as CHECK ENGINE light. The self-diagnostic capabilities of this system, if properly utilized, can simplify testing. The Powertrain Control Module (PCM) monitors several different engine control system circuits. If a problem is sensed with a monitored circuit, PCM memory stores a fault, the MIL glows and PCM enters limp-in mode. In limp-in mode, PCM compensates for component failure by substituting information from other sources. This allows vehicle operation until repairs can be made. Test circuits and repair or replace components as required. If problem is repaired or ceases to exist, the PCM cancels fault after 50 ignition on/off cycles. A specific fault results from a particular system failure. A fault does not condemn a specific component; component is not necessarily the reason for failure. Faults only call out a probable malfunction area. Hard failures cause MIL to glow and remain on until the malfunction is repaired. If light comes on and remains on (light may flash) during vehicle operation, cause of malfunction must be determined using self-diagnostic tests. If a sensor fails, PCM will use a substitute value in its calculations, allowing engine to operate in limp-in mode. In this condition, vehicle will run, but driveability may be poor. Intermittent failures may cause MIL to flicker or stay on until the intermittent fault goes away. However, the corresponding fault will be retained in PCM memory. If related fault does not reoccur within a certain time frame, related fault will be erased from PCM memory. Intermittent failures can be caused by a faulty sensor, bad connector or wiring related problems. engine or electrical components. See FUEL PRESSURE RELEASE. INFORMATION Section before disconnecting battery. DO NOT use a test light instead of a voltmeter. damage to vehicle electronics and/or PCM may result. Always perform verification test after repairs are made. Always disconnect DRB-II after use. Always disconnect DRB-II before charging battery. test port on fuel rail. See Fig. 1.
test port. Screw other end of hose onto fuel pressure test port. test port. Install protective cap on pressure test port. a small screwdriver, wrapped in shop towels, push test port valve in to relieve fuel pressure. Absorb spilled fuel with shop towels. Remove shop towels and dispose of properly. Install protective cap on pressure test port. Fig. 1: Releasing Fuel Pressure Courtesy of Chrysler Corp. Most driveability problems in the engine control system result from faulty wiring, poor electrical connections or leaking air and vacuum hose connections. To avoid unnecessary component testing, perform a visual inspection before beginning self-diagnostic tests. NOTE: DO NOT skip any steps in self-diagnostic tests or incorrect diagnosis may result. start condition exists or engine stalls after start-up. after repairs have been made. indicated VERIFICATION TEST after repairs have been made. NOTE: Although other scan testers are available, manufacturer recommends using DRB-II (Diagnostic Readout Box II) to diagnose the system. MIL function can be used but has limited diagnostic capability. engine (if possible). Turn A/C system on, then off (if equipped). and access READ FAULTS function of DRB-II FUEL/IGN MENU. test number. To clear fault codes, see CLEARING FAULTS. Fig. 2: Locating Diagnostic Connector (Cherokee & Wrangler) Courtesy of Chrysler Corp. Fig. 3: Locating Diagnostic Connector (Grand Cherokee) Courtesy of Chrysler Corp.
selecting READ FAULTS. Press down arrow key selecting next screen. Press "2" key selecting ERASE. battery cable for at least 15 seconds, allowing PCM to clear faults. broken, bent, pushed out or corroded terminals. NOTE: Although other scan testers are available, manufacturer recommends using DRB-II (Diagnostic Readout Box II) to diagnose the system. Ensure DRB-II is connected to engine diagnostic connector located in engine compartment. Ensure correct cartridge is installed in DRB-II for vehicle and system being diagnosed. Menu selections will vary depending on vehicle and system being diagnosed. Follow DRB-II screen prompts to actuate, adjust, monitor, reset, test and diagnose system as necessary. DRB-II is grounded through engine diagnostic connector. Only one volt-ohmmeter test lead is required when using volt-ohmmeter option. DRB-II volt-ohmmeter should only be used when self-diagnostic tests require the use of this option. If DRB-II has a blank screen or displays RAM TEST FAILURE, CARTRIDGE ERROR, KEY PAD TEST FAILURE or LOW BATTERY OR HIGH BATTERY, this indicates a DRB-II failure. To diagnose and correct these conditions, see G - BODY TESTS W/ CODES article in the ENGINE PERFORMANCE Section. NOTE: Perform SRI memory test only if referred here by diagnostic tests. 1) To perform SRI memory check, ensure ignition is off. Attach DRB-II to engine diagnostic connector. Connector is located on left side (right side on Grand Cherokee) of engine compartment, near PCM. See Figs. 2 and 3. Turn ignition switch to RUN position. ENTER key. The DRB-II display will read SRI MEMORY CHECK ARE YOU SURE? MILEAGE BETWEEN XXXXX AND XXXXX? (PRESS YES OR NO). If vehicle mileage is within specification, SRI memory check is complete. Press YES key. If vehicle mileage is not within specification, go to next step. Service Reminder Indicator (SRI) light is designed to be a reminder to service vehicle emissions control system. It is not an emissions warning system, only a reminder to perform necessary emissions servicing. Components to be serviced include PCV valve, oxygen sensor and some vacuum-operated components. SRI light will illuminate after a predetermined mileage. (right side on Grand Cherokee) of engine compartment, near PCM. See Figs. 2 and 3. Turn ignition switch to RUN position. At ADJUSTMENTS menu, press "3" (RESET SRI LIGHT) key. Press ENTER key. Display will read RESET SRI LIGHT ARE YOUR SURE? (ENTER TO RESET). Press ENTER key. NOTE: Perform mileage transfer procedure only if PCM is being replaced. enable new PCM to operate SRI light properly. To transfer mileage to new PCM, ensure ignition is off. PCM. See Figs. 2 and 3. Turn ignition switch to RUN position. MILEAGE BETWEEN XXXXX AND XXXXX? (PRESS YES OR NO). If vehicle mileage is within specification, SRI memory check is complete. Press YES key. If vehicle mileage is not within specification, go to next step. NOTE: If SECURITY light comes on and remains on with ignition on, Chrysler Collision Detection (CCD) bus communication with PCM has been lost. After servicing vehicle, ensure system operates properly. A malfunctioning anti-theft alarm system may keep engine from starting. For anti-theft alarm diagnosis, see appropriate ANTI-THEFT SYSTEM article in the ACCESSORIES/SAFETY EQUIPMENT Section. NOTE: Not all fault codes apply to all vehicles. Some fault codes have more than one meaning. When a fault code has more than one meaning, MIL is unable to distinguish between different failures. DRB-II displays NO CRANK REFERENCE SIGNAL AT PCM. Condition is: no crankshaft reference signal picked up during cranking. DRB-II displays SLOW CHANGE IN IDLE MAP SENSOR SIGNAL. Condition is: Manifold Absolute Pressure (MAP) sensor output change slower and/or smaller than expected. DRB-II displays NO CHANGE IN MAP FROM START TO RUN. Condition is: no difference recognized between Manifold Absolute Pressure (MAP) reading and barometric (atmospheric) pressure reading at start-up. DRB-II displays MAP VOLTAGE TOO LOW. Condition is: Manifold Absolute Pressure (MAP) sensor input less than minimum acceptable voltage. DRB-II displays MAP VOLTAGE TOO HIGH. Condition is: Manifold Absolute Pressure (MAP) sensor input more than maximum acceptable voltage. DRB-II displays NO VEHICLE SPEED SENSOR SIGNAL. Condition is: no Vehicle Speed Sensor (VSS) signal detected with road load conditions. DRB-II displays ENGINE IS COLD TOO LONG. Condition is: coolant temperature stays less than normal operating temperature during vehicle operation. DRB-II displays O2S STAYS AT CENTER. Condition is: no rich or lean signal detected from oxygen sensor input. DRB-II displays O2S SHORTED TO VOLTAGE. Condition is: oxygen sensor input voltage maintained at more than normal operating range. DRB-II displays ECT SENSOR VOLTAGE TOO LOW. Condition is: Engine Coolant Temperature (ECT) sensor input less than minimum acceptable voltage. DRB-II displays ECT SENSOR VOLTAGE TOO HIGH. Condition is: Engine Coolant Temperature (ECT) sensor input more than maximum acceptable voltage. DRB-II displays INTAKE AIR TEMPERATURE SENSOR VOLTAGE LOW. Condition is: Intake Air Temperature (IAT) sensor input less than minimum acceptable voltage. DRB-II displays INTAKE AIR TEMPERATURE SENSOR VOLTAGE HIGH. Condition is: Intake Air Temperature (IAT) sensor input more than maximum acceptable voltage. DRB-II displays THROTTLE POSITION SENSOR VOLTAGE LOW. Condition is: Throttle Position Sensor (TPS) input less than minimum acceptable voltage. DRB-II displays THROTTLE POSITION SENSOR VOLTAGE HIGH. Condition is: Throttle Position Sensor (TPS) input more than maximum acceptable voltage. DRB-II displays IDLE AIR CONTROL MOTOR CIRCUITS. Condition is: open or shorted condition detected in one or more Idle Air Control (IAC) motor circuits. DRB-II displays INJECTOR #1-6 CONTROL CIRCUIT. Condition is: injector output driver does not respond properly to Powertrain Control Module (PCM) control signal. DRB-II displays A/C CLUTCH RELAY CIRCUIT. Condition is: open or shorted condition detected in A/C clutch relay circuit. DRB-II displays SPEED CONTROL SOLENOID CIRCUITS. Condition is: open or shorted condition detected in Speed Control (S/C) vacuum or vent solenoid circuits. DRB-II displays RADIATOR FAN RELAY CIRCUIT. Condition is: open or shorted condition detected in radiator fan relay circuit. DRB-II displays AUTO SHUTDOWN RELAY CONTROL CIRCUIT. Condition is: open or shorted condition detected in Auto Shutdown (ASD) relay circuit. DRB-II displays NO ASD RELAY VOLTAGE SENSE AT PCM. Condition is: Powertrain Control Module (PCM) did not receive message in Auto Shutdown (ASD) relay circuit. DRB-II displays BATTERY TEMP SENSOR VOLTS OUT OF LIMIT. Condition is: Powertrain Control Module (PCM) failure. DRB-II displays CHARGING SYSTEM VOLTAGE TOO HIGH. Condition is: battery voltage sense input more than target charging voltage during engine operation. DRB-II displays CHARGING SYSTEM VOLTAGE TOO LOW. Condition is: battery voltage sense input less than target charging voltage during engine operation. DRB-II displays O2S STAYS BELOW CENTER (LEAN). Condition is: oxygen sensor input indicates lean air/fuel ratio during engine operation. DRB-II displays O2S STAYS ABOVE CENTER (RICH). Condition is: oxygen sensor input indicates rich air/fuel ratio during engine operation. DRB-II displays INTERNAL PCM FAILURE. Condition is: Powertrain Control Module (PCM) detects internal failure. DRB-II displays PCM FAILURE SPI COMMUNICATION. Condition is: No CCD bus communication. DRB-II displays NO CAM SYNC SIGNAL AT PCM. Condition is: open or shorted condition detected in cam sync signal circuit. DRB-II display will be blank. Completion of fault code display by CHECK ENGINE light. DRB-II displays PCM FAILURE SRI MILE NOT STORED. Condition is: Powertrain Control Module (PCM) detects internal failure. DRB-II displays PCM FAILURE EEPROM WRITE DENIED. Condition is: unsuccessful attempt to write to an EEPROM location by PCM. Fig. 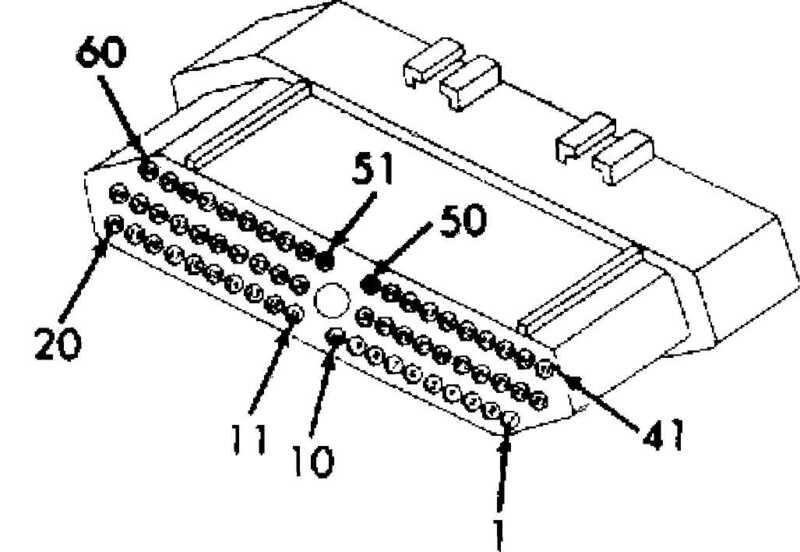 4: Identifying Idle Air Control (IAC) Motor Connector Terminals Courtesy of Chrysler Corp. Fig. 5: Identifying Coolant Temperature Sensor Connector Terminals Courtesy of Chrysler Corp. Fig. 6: Camshaft & Crankshaft Position Sensor Connector Terminal ID Courtesy of Chrysler Corp. Fig. 7: Identifying Engine Controller Connector Terminals Courtesy of Chrysler Corp. Fig. 8: Identifying Engine Diagnostic Connector Terminals Courtesy of Chrysler Corp. Fig. 9: Identifying Fuel Injector Connector Terminals Courtesy of Chrysler Corp. Fig. 10: Identifying Ignition Coil Connector Terminals Courtesy of Chrysler Corp. Fig. 11: Manifold Absolute Pressure Courtesy of Chrysler Corp. Fig. 12: Identifying Oxygen (O2) Sensor Connector Terminals Courtesy of Chrysler Corp. Fig. 13: Identifying Relay Connector Terminals Courtesy of Chrysler Corp. Fig. 14: Identifying Throttle Position Sensor Connector Terminals Courtesy of Chrysler Corp. Fig. 15: Testing Fuel Pump Relay Courtesy of Chrysler Corp. IDENTIFICATION at beginning of article. For wiring diagrams, see L - WIRING DIAGRAMS article in the ENGINE PERFORMANCE Section. CODES article in the ENGINE PERFORMANCE Section. is present, go to TEST NS-1A. - See ALTERNATORS article in the ELECTRICAL Section. (80C) after driving 20 minutes. This code may set in error during very cold slow speed driving. - Replace PCM and perform TEST VER-1. IDENTIFICATION at beginning of this article. For wiring diagrams, see L - WIRING DIAGRAMS article in the ENGINE PERFORMANCE Section. NO CRANK REFERENCE SIGNAL AT PCM, go to step 6). sensor or failed Powertrain Control Module (PCM). Go to next step. and connectors, go to next step. misfire or stall, see INACTIVE FAULT CONDITION. Perform TEST VER-1. White/Black wire on ZJ body. wire on ZJ body). If voltage is less than 7 volts, go to TEST FC-2B. If voltage is more than 7 volts, turn ignition off. CKP sensor connector several times while observing DRB-II. SIGNAL AT PCM, turn ignition off. resistance is more than 5 ohms, repair open in Black/Light Blue wire. Perform TEST VER-1. terminals are okay, go to next step. less more than 5 ohms, replace CMP sensor. Perform TEST VER-1. terminals. Repair as necessary. Perform TEST VER-1. If PCM connector terminals are okay, go to next step. Orange wire on XJ and YJ bodies or White/Black wire on ZJ body. Perform TEST VER-1. If resistance is less than 5 ohms, replace PCM. SYCN SIGNAL AT PCM, go to step 5). Module (PCM). Go to next step. White/Black wire on ZJ body. Perform TEST VER-1. wire on ZJ body). If voltage is less than 7 volts, go to TEST FC-3B. break connection at CKP sensor connector several times. resistance is more than 5 ohms, repair open in Black/Light Blue wire. connector terminals are okay, go to next step. wire on XJ and YJ bodies or Gray/Black on ZJ body. Perform TEST VER-1. 1) Turn ignition off. Disconnect Powertrain Control Module (PCM) connector. Inspect PCM connector for damaged or pushed-out terminals. Repair as necessary. Perform TEST VER-1. If PCM connector terminals are okay, go to next step. 2) Using an external ohmmeter, check resistance of 8-volt supply circuit (Orange wire on XJ and YJ bodies or White/Black wire on ZJ body) between CMP sensor connector harness side and PCM connector terminal No. 7. If resistance is more than 5 ohms, repair open in Orange wire on XJ and YJ bodies or White/Black wire on ZJ body. Perform TEST VER-1. If resistance is less than 5 ohms, replace PCM. Perform TEST VER-1. Turn ignition on. Using DRB-II, erase fault messages. NO CHANGE IN MAP FROM START TO RUN, go to step 4). hose is okay, replace MAP sensor. Perform TEST VER-1. MAP sensor voltage, wiggle MAP sensor connector and wiring harness. inspect all related wiring and connectors and repair as necessary. in. Hg, condition required to set fault is not present at this time. passage, or MAP sensor failure. Perform TEST VER-1. vacuum hose is okay, replace MAP sensor. Perform TEST VER-1. 1) Start engine. Using DRB-II, read Manifold Absolute Pressure (MAP) sensor voltage. If MAP sensor voltage is less than .2 volt, go to step 5). If MAP sensor voltage is more than .2 volt, turn engine off. Turn ignition on. harness as necessary. Perform TEST VER-1. and connectors, see INACTIVE FAULT CONDITION. Perform TEST VER-1. voltage is more than 4 volts, replace MAP sensor. Perform TEST VER-1. Green/Red wire on XJ and YJ bodies or Red/White wire on ZJ body. Perform TEST VER-1. If resistance is more than 5 ohms, replace PCM. Pressure (MAP) sensor voltage. If MAP sensor voltage is more than 4.6 volts, go to step 4). If MAP sensor voltage is less than 4.6 volts, wiggle MAP sensor connector and wiring harness while watching DRB-II display. If MAP sensor voltage changes, repair connector or wiring harness as necessary. Perform TEST VER-1. circuit(Dark Green/Red wire on XJ and YJ bodies or Red/White wire on ZJ body), MAP sensor open internally, open MAP sensor ground circuit (Black/Light Blue wire) or short to voltage in MAP sensor signal circuit (Dark Green/Red wire on XJ and YJ bodies or Red/White wire on ZJ body). Go to next step. replace MAP sensor. Perform TEST VER-1. to an engine ground. Using DRB-II, read MAP sensor voltage. ZJ body) between MAP sensor connector and PCM connector terminal No. 1. If resistance is less than 5 ohms, replace PCM. Perform TEST VER-1. on XJ and YJ bodies or Red/White wire on ZJ body. Perform TEST VER-1. (PCM). Go to next step. go to TEST FC-7B. If voltage is more than 4 volts, turn ignition off. and ground circuit (Black/Light Blue wire) on VSS sensor connector. Black/Light Blue wire. Perform TEST VER-1. signal circuit (White/Orange wire) between VSS connector harness side and PCM connector terminal No. 47. If resistance is more than 5 ohms, repair open in White/Orange wire. Perform TEST VER-1. If resistance is less than 5 ohms, replace PCM. Perform TEST VER-1. terminals. Repair as necessary. Perform TEST VER-1. If no problems were found with wiring or connectors, go to next step. connector terminal No. 47 (White/Orange wire). If resistance is more than 5 ohms, replace DRL module. ground in White/Orange wire. Perform TEST VER-1. temperature is reached. Using DRB-II, set engine speed to 1500 RPM. harness while watching DRB-II display. circuit or oxygen sensor failure. Go to next step. Turn ignition off. Disconnect oxygen sensor connector. (Black/Light Blue wire) at oxygen sensor connector harness side. If resistance is more than 5 ohms, repair open in Black/Light Blue wire. Perform TEST VER-1. ignition off. Disconnect Powertrain Control Module (PCM) connector. (Black/Dark Green wire on XJ and YJ bodies or Black/Orange wire on ZJ body) and battery positive terminal. on ZJ body. Perform TEST VER-1. than 1.2 volts at any time, repair wiring and connectors as necessary. failure. Go to next step. than 1.2 volts, replace oxygen sensor. Perform TEST VER-1. 1) Start engine. Allow engine to run until normal operating temperature is reached. Using DRB-II, set engine speed to 1500 RPM. Using DRB-II, read oxygen sensor voltage. If oxygen sensor voltage is not always more than .5 volt, condition required to set fault is not present at this time. Go to next step. If oxygen sensor voltage is always more than .5 volt, go to step 3). Using DRB-II, stop all actuation tests. Turn ignition off. restrictions are not present, remove fuel injector rail assembly. always less than .5 volt, go to step 3). causing engine to run lean is present. Go to TEST NF-1A. oxygen sensor. Perform TEST VER-1. bodies or Black/Orange wire on ZJ body). replace PCM. Perform TEST VER-1. voltage. If voltage is more than 4.5 volts, go to step 4). If voltage is less than 4.5 volts, while observing DRB-II, wiggle wiring harness from ECT sensor to Powertrain Control Module (PCM). If voltage changes, repair wiring harness as necessary. Perform TEST VER-1. (Black/Light Blue wire). Go to next step. (Black/Light Blue wire) on ECT sensor connector. Using DRB-II, read Р•РЎРў sensor voltage. If voltage is less than one volt, replace ECT sensor. 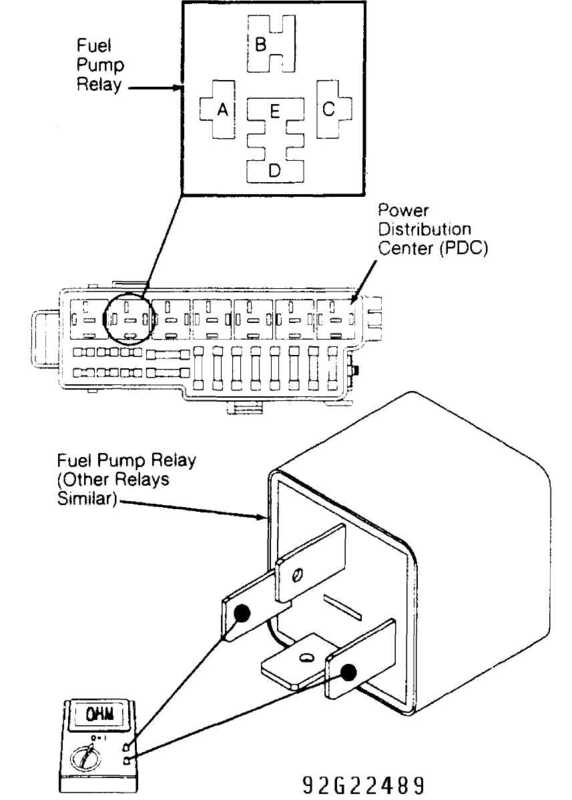 Powertrain Control Module (PCM) connector. repair wiring harness as necessary. Perform TEST VER-1. and connectors, see INACTIVE FAULT CONDITION. Perform TEST VER-2. sensor voltage. If voltage is more than 4 volts, replace ECT sensor. resistance of ECT sensor connector, signal circuit (Tan/Black wire). If resistance is more than 5 ohms, replace PCM. Perform TEST VER-1. If resistance is less than 5 ohms, repair short to ground in Tan/Black wire. Perform TEST VER-1. changed, repair wiring harness as necessary. (Black/Red wire) or IAT sensor shorted internally. Go to next step. sensor voltage. If voltage is more than 4 volts, replace IAT sensor. voltage changed, repair wiring harness as necessary. (Black/Light Blue wire) on IAT sensor connector. Using DRB-II, read IAT sensor voltage. If voltage is less than one volt, replace IAT sensor. Perform TEST VER-1. is more than one volt, turn ignition off. 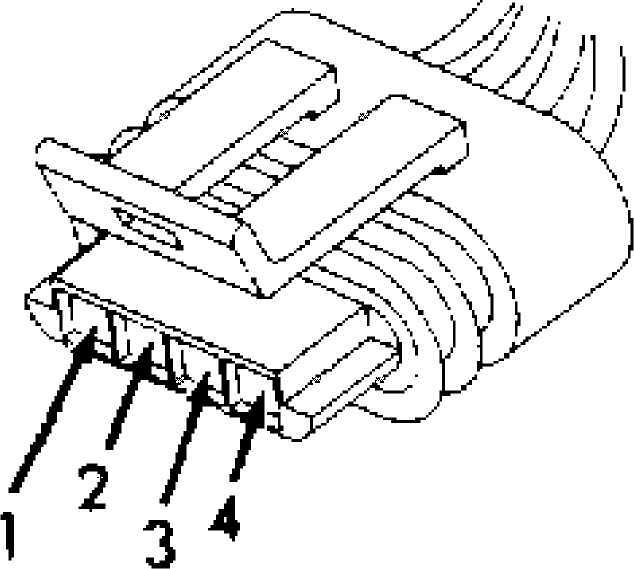 Disconnect PCM connector. Black/Red wire. Perform TEST VER-1. If resistance is less than 5 ohms, replace PCM. Perform TEST VER-1. Using DRB-II, read Throttle Position Sensor (TPS) voltage. changes, repair wiring harness as necessary. Perform TEST VER-1. (Orange/Dark Blue wire), open TPS ground circuit (Black/Light Blue wire) or TPS sensor failure. Go to next step. voltage. If voltage is less than one volt, replace TPS. Perform TEST VER-1. ground. Using DRB-II, read TPS sensor voltage. open in Orange/Dark Blue wire. Perform TEST VER-1. than .2 volt or if vehicle speed is more than 20 MPH, engine speed is more than 1500 RPM and vacuum is less than 2 in. Hg with TPS signal circuit (Orange/Dark Blue wire) less than .5 volt. Possible causes are: short to ground in TPS signal circuit (Orange/Dark Blue wire), TPS sensor failure or open TPS 5-volt supply circuit (Violet/White wire). Go to next step. Disconnect TPS connector. Using DRB-II, read TPS voltage. equipped with TCM, repair short to ground in Orange/Dark Blue wire. resistance of TPS connector, signal circuit (Orange/Dark Blue wire). than 5 ohms, replace TCM. Perform TEST VER-1. Using DRB-II, erase fault messages. Turn ignition off. Start engine. Allow engine to reach normal operating temperature. 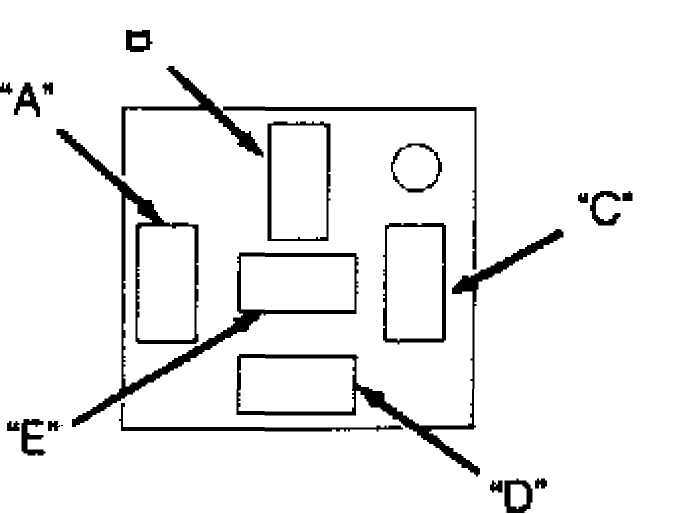 MOTOR CIRCUITS, go to step 4). CIRCUITS, condition required to set fault is not present at this time. IDLE AIR CONTROL MOTOR CIRCUITS fault sets if any of 4 Idle Air Control (IAC) motor wires are shorted to ground or battery voltage. Possible causes are: IAC motor internally shorted or IAC motor wires shorted together. Go to next step. less than one volt to more than 10 volts. appropriate wire for short to voltage. Perform TEST VER-1. Turn ignition off. Reconnect IAC motor connector. Disconnect PCM. Using an external ohmmeter, check resistance between terminals No. 39 and 59 at PCM connector. If resistance is more than 35 ohms, go to next step. If resistance is less than 35 ohms, replace IAC motor. Perform TEST VER-1. color identification. Perform TEST VER-1. (PCM Terminal No.) Driver No. Terminal No. 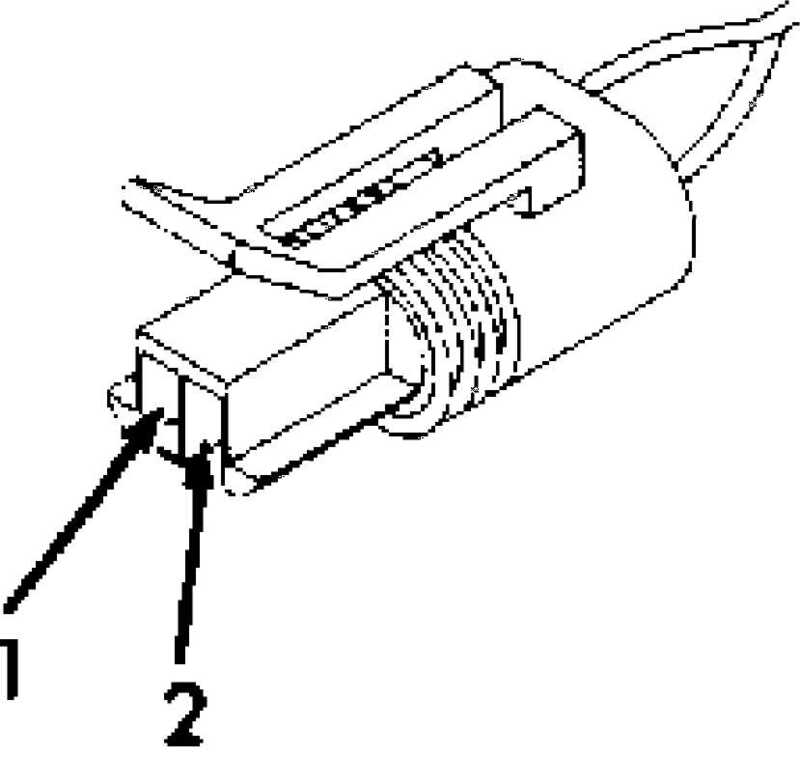 (1) - For connector terminal identification, see CONNECTOR IDENTIFICATION at beginning of article. INJECTOR #1 CONTROL CIRCUIT, go to step 6). Turn ignition off. Disconnect injector No. 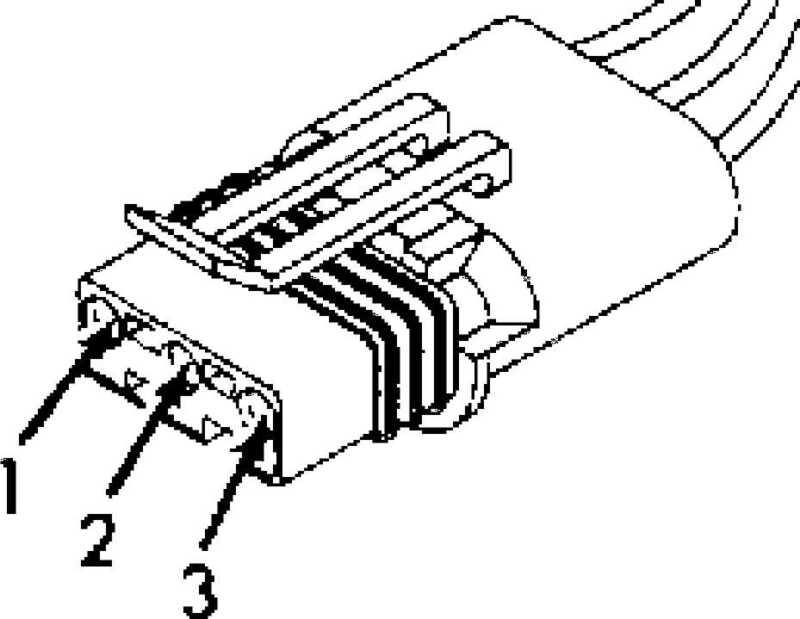 1 connector. Green/Black wire on ZJ body. Perform TEST VER-1. If voltage is more than 10 volts, turn ignition off. (White/Dark Blue wire), between PCM connector terminal No. 16 and injector connector. If resistance is less than 5 ohms, go to next step. If resistance is more than 5 ohms, repair open in White/Dark Blue wire. Perform TEST VER-1. ohms, replace PCM. Perform TEST VER-1. INJECTOR #2 CONTROL CIRCUIT, go to step 6). (Tan wire), open injector power supply circuit (Dark Green/Orange wire on XJ and YJ bodies or Dark Green/Black wire on ZJ body), open injector, or failed driver in Powertrain Control Module (PCM). Go to next step. Turn ignition off. Disconnect injector No. 2 connector. than 5 ohms, repair open in Tan wire. Perform TEST VER-1. resistance is less than 5 ohms, repair short to ground in Tan wire. INJECTOR #3 CONTROL CIRCUIT, go to step 6). misfire or stall, see INACTIVE FAULT CONDITION in SELF-DIAGNOSTICS. Turn ignition off. Disconnect injector No. 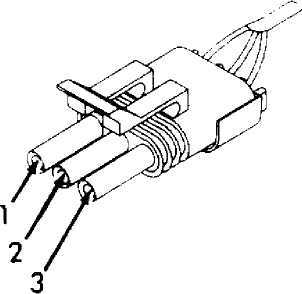 3 connector. Dark Green/Black wire on ZJ body. If voltage is less than 10 volts, repair open in Dark Green/Orange wire on XJ and YJ bodies or Dark Green/Black wire on ZJ body. Perform TEST VER-1. 8) If voltage is more than 10 volts, turn ignition off. (Yellow/White wire) between PCM connector terminal No. 14 and injector connector. If resistance is less than 5 ohms, go to next step. If resistance is more than 5 ohms, repair open in Yellow/White wire. Perform TEST VER-1. INJECTOR #4 CONTROL CIRCUIT, go to step 6). Turn ignition off. Disconnect injector No. 4 connector. resistance is more than 5 ohms, repair open in Light Blue/Brown wire. connector terminal No. 13, injector driver circuit (Light Blue/Brown wire). If resistance is less than 5 ohms, repair short to ground in Light Blue/Brown wire. Perform TEST VER-1. If resistance is more than 5 ohms, replace PCM. Perform TEST VER-1. INJECTOR #5 CONTROL CIRCUIT, go to step 6). (Pink/Black wire on XJ and YJ bodies or Gray wire on ZJ body), open injector power supply circuit (Dark Green/Orange wire on XJ and YJ bodies or Dark Green/Black wire on ZJ body), open injector, or failed driver in Powertrain Control Module (PCM). Go to next step. Turn ignition off. Disconnect injector No. 5 connector. (Pink/Black wire on XJ and YJ bodies or Gray wire on ZJ body) between PCM connector terminal No. 38 and injector connector. If resistance is less than 5 ohms, go to next step. If resistance is more than 5 ohms, repair open in Pink/Black wire on XJ and YJ bodies or Gray wire on ZJ body. Perform TEST VER-1. than 5 ohms, replace PCM. Perform TEST VER-1. see L - WIRING DIAGRAMS article in the ENGINE PERFORMANCE Section. INJECTOR #6 CONTROL CIRCUIT, go to step 6). (Light Green/Black wire on XJ and YJ bodies or Brown/Yellow wire on ZJ body), open injector power supply circuit (Dark Green/Orange wire on XJ and YJ bodies or Dark Green/Black wire on ZJ body), open injector, or failed driver in Powertrain Control Module (PCM). Go to next step. Turn ignition off. Disconnect injector No. 6 connector. or Brown/Yellow wire on ZJ body. Perform TEST VER-1. Green/Black wire on XJ and YJ bodies or Brown/Yellow wire on ZJ body. 1) Using DRB-II, erase fault messages. Turn ignition on. On XJ and YJ bodies, actuate A/C clutch relay using DRB-II. On ZJ body, actuate A/C clutch relay and Auto Shutdown (ASD) relay using DRB-II. On all bodies, if A/C clutch relay is clicking, go to next step. If A/C clutch relay is not clicking, go to step 5). (PCM). Stop actuation of relays. Using DRB-II, read fault messages. If A/C CLUTCH RELAY CIRCUIT fault returns, repair wiring harness as necessary. Perform TEST VER-1. If A/C CLUTCH RELAY CIRCUIT fault does not return, see INACTIVE FAULT CONDITION. Perform TEST VER-1. is not clicking, remove known good A/C clutch relay. Ensure A/C clutch relay actuation test is still running. Yellow/Dark Green wire on ZJ body. Perform TEST VER-1. wire on ZJ body. Perform TEST VER-1. resistance is less than 5 ohms, replace PCM. Perform TEST VER-1. Using DRB-II, erase fault messages. Turn ignition on. clicking, condition required to set fault is not present at this time. Go to next step. If radiator fan relay is not clicking, go to step 5). harness from radiator fan relay to Powertrain Control Module (PCM). RELAY CIRCUIT fault does not return, see INACTIVE FAULT CONDITION. VER-1. If voltage is more than 10 volts, turn ignition off. to ground in Dark Blue/Pink wire. Perform TEST VER-1. Shutdown (ASD) relay. If ASD relay is clicking, condition required to set fault is not present at this time. Go to next step. If ASD relay is not clicking, go to step 5). Control Module (PCM). Go to next step. CONTROL CIRCUIT fault returns, repair wiring harness as necessary. not return, see INACTIVE FAULT CONDITION. Perform TEST VER-1. good ASD relay is clicking, replace original ASD relay. Perform TEST VER-1. If known good ASD relay is not clicking, remove known good ASD relay. more than 10 volts, turn ignition off. step 5). If engine starts, run engine for 5 minutes. connector terminal No. 57. Perform TEST VER-1. (Red/Black wire on XJ body, Red/White wire on YJ body or Red wire on ZJ body). Go to next step. If voltage is more than 12 volts, turn ignition off. connector and PCM connector terminal No. 57. 7) If resistance is more than 5 ohms, repair open in Dark Green/Orange wire on XJ and YJ bodies or Dark Green/Black wire on ZJ body. Perform TEST VER-1. If resistance is less than 5 ohms, reconnect PCM connector. Install a known good ASD relay. Attempt to start engine. If engine starts, replace original ASD relay. Perform TEST VER-1. If engine does not start, replace PCM. Perform TEST VER-1. 1) Turn ignition on. Using DRB-II, perform SRI memory test. mileage and retest SRI memory. Perform TEST VER-1. WRITE REFUSED, vehicle is functioning properly. Perform TEST VER-1. is not present at this time. Go to next step. underhood). Inspect connector for damaged or pushed-out terminals. VER-1. If resistance is less than 80 ohms, turn ignition on. Module (PCM) connector. Go to next step. 5 ohms, replace PCM. Perform TEST VER-1. Check MITCHELL(R) TECH SERVICE BULLETINS (TSBs) for any pertinent information. If a TSB exists, perform corrective action. If TSB does not exist or if driveability problem still exists, perform tests NF-2A through NF-12A in sequence until driveability problem is found. See NO FAULT CODE TEST MENU table. If it is suspected that any item listed in NO FAULT CODE TEST MENU table is cause of a vehicle’s driveability problem, perform associated test(s) individually. Return to NO FAULT CODE TEST MENU table if driveability problem still exists, or perform NO FAULT COMPLETE TEST. Symptom checks cannot be used properly unless driveability problem characteristic actually happens while vehicle is being tested. To reduce diagnostic time, ensure that TEST FC-1A is reviewed before attempting to diagnose a symptom. Select symptom that most accurately describes vehicle’s driveability problem and then perform test pertaining to this symptom. Perform each test in sequence until problem is found. See NO FAULT QUICK SYMPTOM TEST MENU table. (1) - Perform tests NF-2A through NF-12A in sequence. See NO FAULT CODE TEST MENU table. 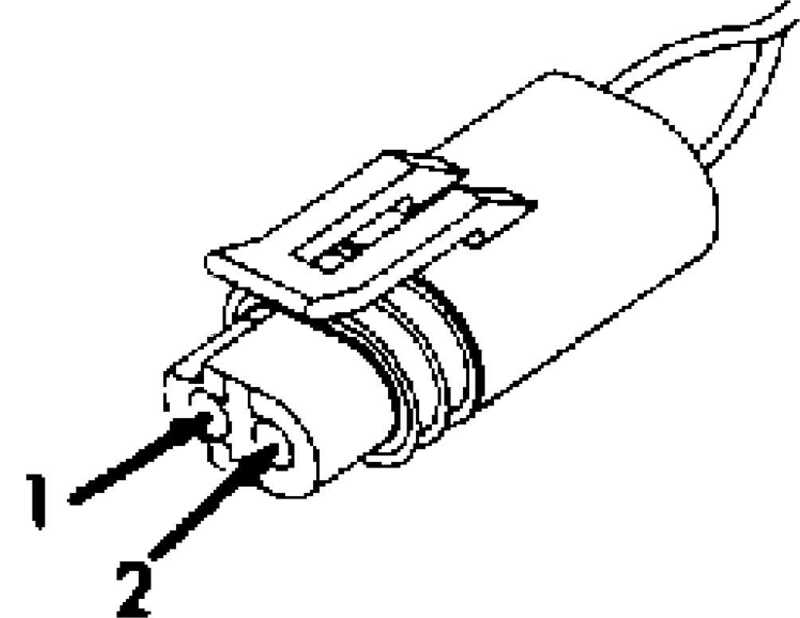 indicated component in secondary ignition system. Perform TEST VER-1. If secondary ignition pattern is okay, disconnect any spark plug wire. Observe secondary kilovolt line. functioning properly. Test is complete. WARNING: High fuel pressure may be present in fuel lines. Open fuel system with caution. See FUEL PRESSURE RELEASE procedure. record fuel pressure reading. If fuel pressure is more than 43 psi (3. 0 kg/cm), go to TEST NF-3B. CAUTION: DO NOT allow fuel pressure to exceed 60 psi (4.2 kg/cm) when squeezing fuel return hose. fuel pressure gauge, ensuring fuel pressure does not exceed 60 psi (4. 2 kg/cm). If fuel pressure increases, replace fuel pressure regulator. Perform TEST VER-1. If fuel pressure does not increase, replace fuel pump and sock assembly. Perform TEST VER-1. tank and filter at rear of vehicle. Remove fuel return line from fuel pump at fuel tank. return line for a restriction at fuel tank. Perform TEST VER-1. line to fuel tank. Disconnect fuel return line from fuel rail. 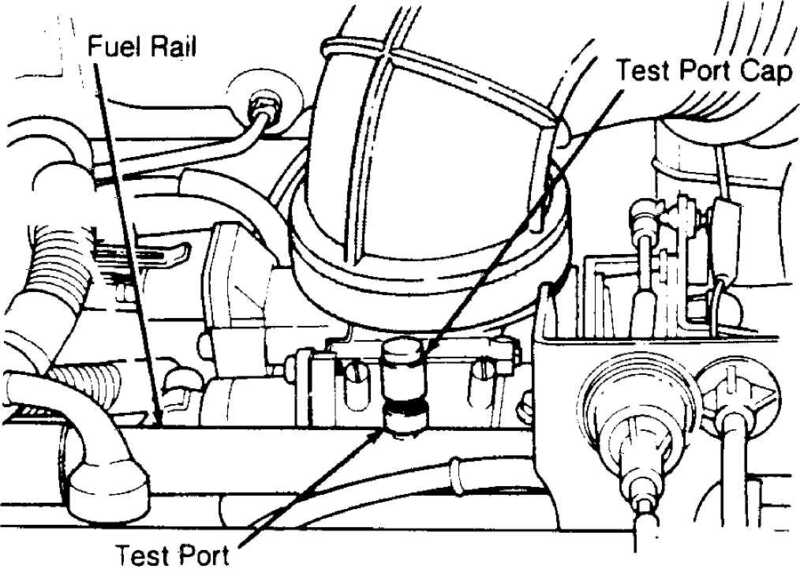 actuate fuel system. Observe fuel pressure gauge. fuel return line for a restriction to fuel tank. Perform TEST VER-1. pressure regulator. Perform TEST VER-1. temperature of 180F (82C). If ECT sensor value does not increase smoothly, inspect cooling system for mechanical failure. If cooling system is okay, replace ECT sensor. Perform TEST VER-1. If ECT sensor value increases smoothly, go to next step. closed and against throttle stop. 1. If voltage change is smooth, go to next step. within one in. Hg of vacuum gauge reading, turn engine off. sensor. Apply 5 in. 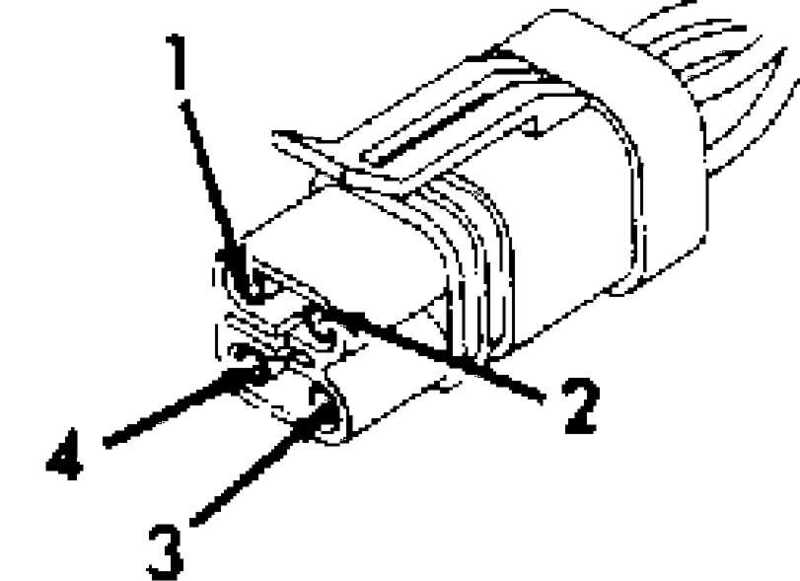 Hg of vacuum to MAP sensor. Turn ignition on. volts, replace MAP sensor. Perform TEST VER-1. Allow engine to idle. Inspect engine for vacuum leaks. leaks exist, read O2 sensor signal voltage using DRB-II. (harness side), signal circuit (Black/Dark Green wire on XJ and YJ bodies or Black/Orange wire on ZJ body). replace O2 sensor. Perform TEST VER-1. Turn engine off. Replace O2 sensor. Turn ignition on. to reach normal operating temperature. is not switching, go to TEST NF-12A. speed set at 1050-1150 RPM, idle speed motor is operating properly. voltage is more than one volt, go to next step. Check engine for vacuum leaks. Repair as necessary. Perform TEST VER-1. If no vacuum leaks are observed, replace idle air control motor. Perform TEST VER-1. Turn engine off. Disconnect Powertrain Control Module (PCM) connector. Using an external ohmmeter, check resistance of each wire between Idle Air Control (IAC) motor connector and PCM connector. See appropriate PCM TERMINAL IDENTIFICATION table. If resistance for any wire is more than 10 ohms, repair open on necessary wire. Perform TEST VER-1. If resistance for any wire is less than 10 ohms, replace PCM. Perform TEST VER-1. Turn ignition off. Place gear selector in Park position. does not always stay less than 5 ohms, go to next step. open in Brown/Yellow wire. Perform TEST VER-1. PCM connector terminal No. 5, signal ground circuit (Black/White wire on XJ and YJ bodies or Black/Tan wire on ZJ body). If resistance is more than 5 ohms, repair open in Black/White wire on XJ and YJ bodies or Black/Tan wire on ZJ body. Perform TEST VER-1. If resistance is less than 5 ohms, go to next step. in Black/Tan wire on XJ and ZJ bodies or Black wire on YJ body. Perform TEST VER-1. If resistance is less than 5 ohms, go to next step. 3) Using DRB-II, check resistance of PCM connector terminal No. 12, power ground circuit (Black/Tan wire on XJ and ZJ bodies or Black wire on YJ body). If resistance is more than 5 ohms, repair open in Black/Tan wire on XJ and ZJ bodies or Black wire on YJ body. Perform TEST VER-1. If resistance is less than 5 ohms, reconnect PCM connector. PCM grounds and power circuits are okay. Connect a vacuum gauge to engine. Start engine, and let it idle. Normal vacuum reading will vary depending on altitude. Observe vacuum gauge at idle. If vacuum gauge reading is not steady 13-22 in. Hg, perform TEST NF-12A. If vacuum gauge reading is steady 13-22 in. Hg, engine vacuum is normal. Test is complete. 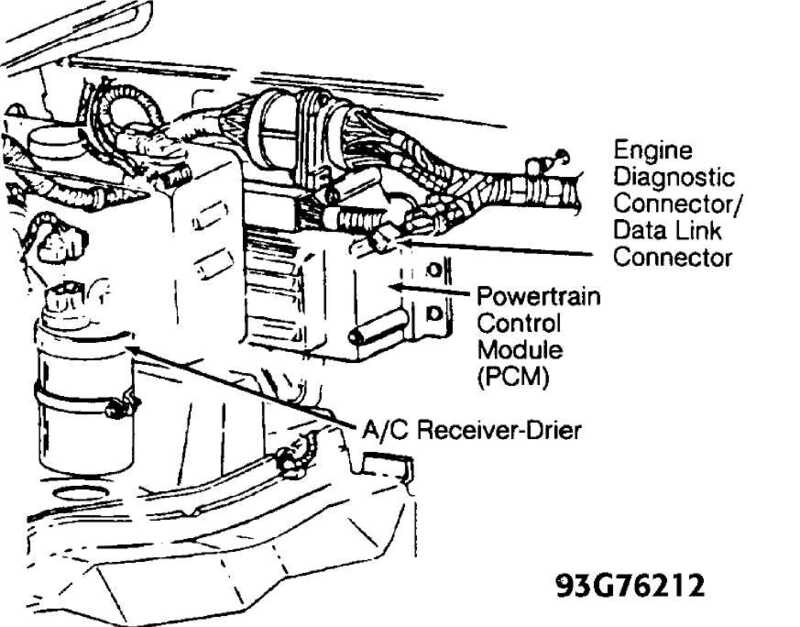 NOTE: If coming to this test from O2 sensor test and rich or lean condition is not corrected after checking items listed below, replace Powertrain Control Module (PCM). Check for exhaust system restriction. Check camshaft and crankshaft sprockets. Check torque converter stall speed. Ensure PCV system is functioning properly. injector and injector is not plugged or restricted. Check power booster for internal vacuum leak. damage may occur if spark plug cable is held more than 1/4" away from ground. terminal. Hold screwdriver within 1/4" of ground. NOTE: When checking for spark, consider one or 2 sparks as a no-spark condition. spark plug, and repeat test. cap. Hold cable within 1/4" of ground. While cranking engine for 10 seconds, watch for spark. If good spark does not occur, go to next step. If good spark occurs, repair distributor cap, rotor or spark plug cables as necessary. Perform TEST VER-1. ignition coil connector terminals are okay, go to next step. Turn ignition on. Using DRB-II, actuate ASD fuel system. YJ bodies or Dark Green/Black wire on ZJ body. Perform TEST VER-1. turn ignition off. Go to next step. Disconnect Powertrain Control Module (PCM) connector. XJ and YJ bodies or Gray/White wire on ZJ body. Perform TEST VER-1. okay, replace TPS. Perform TEST VER-1. BODY TESTS W/ CODES article in the ENGINE PERFORMANCE Section. TEST NS-5A. If fuel pump operation can be heard, turn ignition off. ignition on. Using DRB-II, actuate fuel system. Read fuel pressure gauge reading. NS-4A. If pressure is more than 34 psi (2.3 kg/cm), go to next step. spark plug tips are not wet, reinstall spark plugs. Turn ignition on. Control Module (PCM). Perform TEST VER-1. valve timing. Correct valve timing as necessary. Perform TEST VER-1. Record fuel pressure gauge reading. Turn ignition off. pressure gauge between fuel tank and fuel filter. Turn ignition on. Using DRB-II, actuate Auto Shutdown (ASD) fuel system. restrictions are observed, replace fuel filter. Perform TEST VER-1. CAUTION: DO NOT allow fuel pressure to exceed 70 psi (4.9 kg/cm) when squeezing fuel return hose. 5) Gently squeeze fuel return hose. Read fuel pressure gauge. Using DRB-II, stop fuel system actuator test. If pressure is more than 34 psi (2.3 kg/cm), replace fuel pressure regulator. Perform TEST VER-1. If it is less than 34 psi (2.3 kg/cm), replace fuel pump and sock filter. Perform TEST VER-1. hose into an approved 2-gallon or more capacity gasoline container. Pressure Test Adapter (C-6541) to disconnected return hose. and fuel tank. Perform TEST VER-1. pulsates when actuated, turn ignition off. circuit (Red wire on XJ and ZJ bodies or Red/White wire on YJ body). voltage is more than 10 volts, reconnect fuel pump relay. replace fuel pump. Perform TEST VER-1. jumper wire between fuel pump relay connector, output circuit (Dark Green/Orange wire on XJ body, Dark Green/Black wire on YJ body or Orange/Black wire on ZJ body) and ground. Green/Black wire on YJ body or Orange/Dark Blue wire on ZJ body. resistance is less than 5 ohms, repair open in Dark Green/Orange wire. body, White/Yellow wire on YJ body or Light Blue/Red wire on ZJ body). article. If resistance is more than 100 ohms, replace fuel pump relay. Dark Blue/Yellow wire on XJ and YJ bodies or Pink wire on ZJ body. 1. If voltage is less than 6 volts, go to next step. 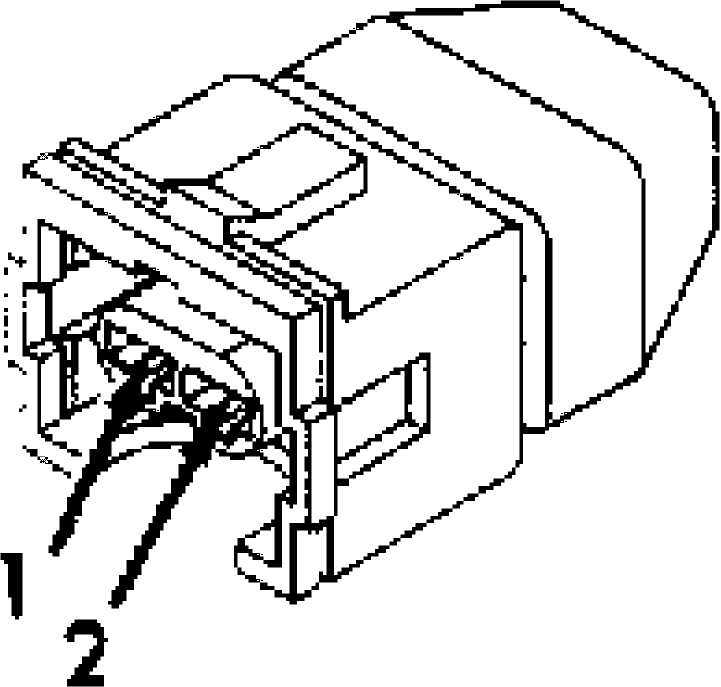 Manifold Absolute Pressure (MAP) sensor connector. check voltage on TPS connector, 5-volt supply circuit (Violet/White wire). If voltage is more than 4.4 volts, replace MAP sensor. Perform TEST VER-1. If voltage is less than 4.4 volts, turn ignition off. between PCM connector and ignition switch. Perform TEST VER-1. Using DRB-II, check voltage on PCM connector terminal No. wire on YJ body). If voltage is less than 10 volts, go to next step. If voltage is more than 10 volts, replace PCM. Perform TEST VER-1. blown, go to step 12). Using DRB-II in voltmeter mode, check voltage on battery voltage side of PDC engine control fuse socket. voltage side of PDC engine control fuse socket. Perform TEST VER-1. bodies or Red/White wire on YJ body. Perform TEST VER-1. than 5 ohms, perform TEST NS-6C. wire). If resistance is more than 5 ohms, replace ignition coil. in Dark Green/Orange wire. Perform TEST VER-1. displayed, turn ignition on to get a response. If ignition was on when NO RESPONSE message was displayed, turn ignition off. Disconnect DRB-II from engine diagnostic connector. Black wire on ZJ body) and ground. wire on ZJ body), and ground. XJ and YJ bodies or Black wire on ZJ body. Perform TEST VER-1. ohmmeter, check resistance of SCI receive circuit (Light Green wire on XJ and YJ bodies or Black/Yellow wire on ZJ body) between engine diagnostic connector and PCM connector terminal No. 45. If resistance is more than 5 ohms, repair open in Light Green wire on XJ and YJ bodies or Black/Yellow wire on ZJ body. Perform TEST VER-1. RESPONSE, replace DRB-II or cartridge. Orange/Dark Blue wire on ZJ body. Perform TEST VER-1. TEST VER-1. If resistance is less than 5 ohms, replace oxygen sensor. body). If voltage is less than one volt, go to TEST NS-7B. (Violet/Black wire on XJ and YJ bodies or Gray/Red wire on ZJ body). If voltage is less than one volt, go to TEST NS-7D. replace IAC motor. Perform TEST VER-1. TEST VER-1. If PCM terminals are okay, go to next step. on ZJ body) between IAC motor connector and PCM connector terminal No. XJ and YJ bodies or Yellow/Black wire on ZJ body. Perform TEST VER-1. open in Brown/White wire. Perform TEST VER-1. on XJ and YJ bodies or Gray/Red wire on ZJ body. Perform TEST VER-1. terminal No. 60. If resistance is less than 5 ohms, replace PCM. Yellow/Black wire on XJ and YJ bodies or Violet/Black wire on ZJ body. engine oil for fuel contamination. Change oil and filter if necessary. 4) If engine starts and PCM was not changed, connect DRB-II to engine diagnostic connector and erase fault messages. Repair is complete. Using DRB-II, reset all values in adaptive memory. least 40 MPH. Ensure transmission shifts through all gears. DRB-II to engine diagnostic connector. fault. If no other faults exist, repair is now complete.